We have some successful thriller movies that sprouted a serial success. Some of them include, of course, James Bond, Mission Impossible, Bourne, and many more to mention. 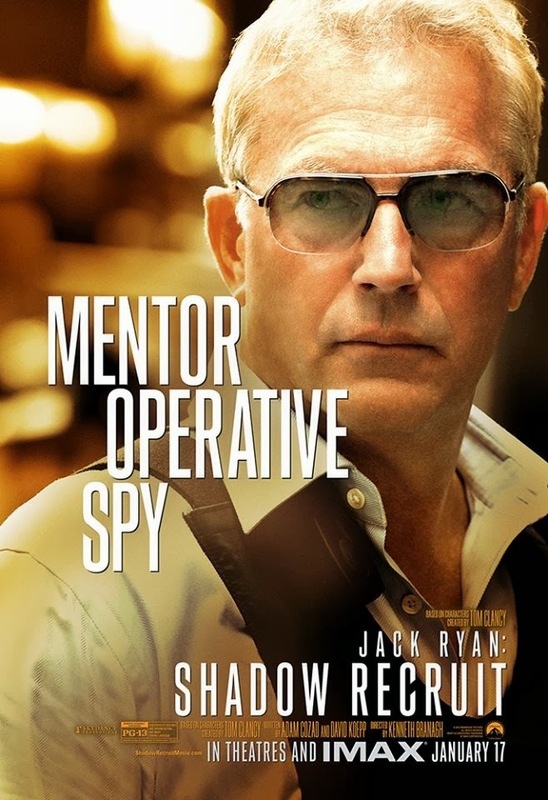 And just then a new thriller with a potential to become a movie series has come our way and it centering about Jack Ryan, based on the character created by Tom Clancy. 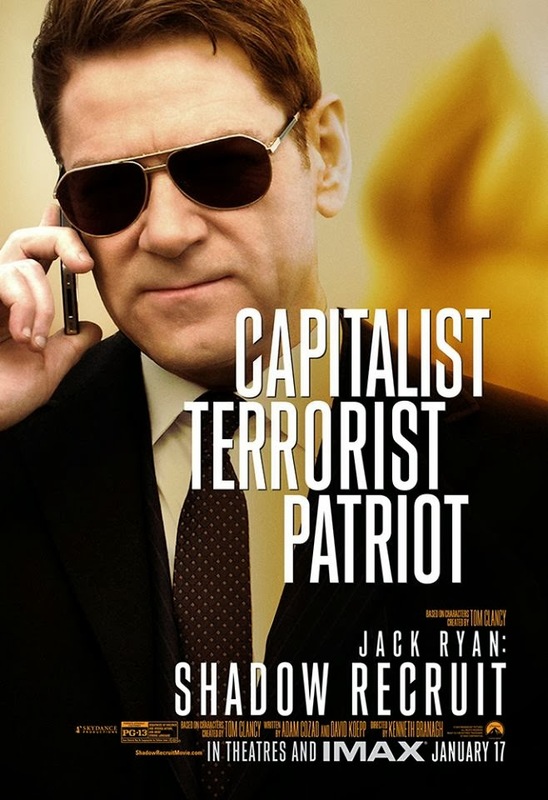 His first outing will be in Jack Ryan: Shadow Recruit. 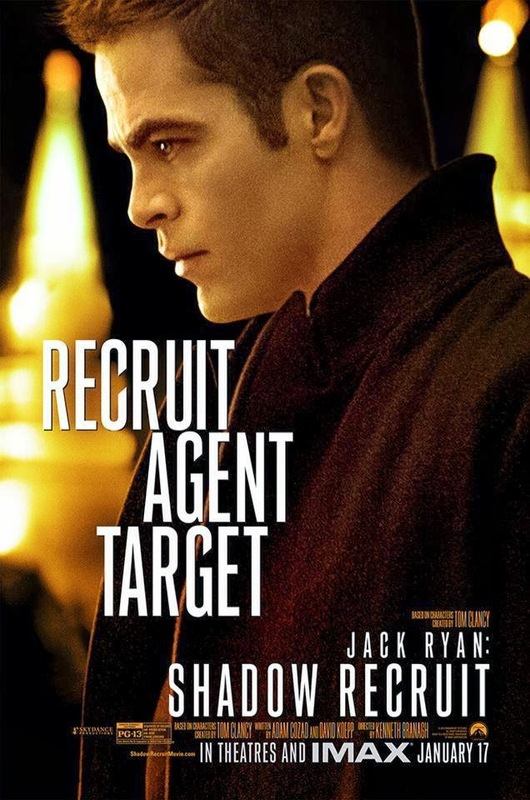 The movie is starring Chris Pine, Kevin Costner, Keira Knightley and Kenneth Branagh, who was also the director of the movie. This Paramount Pictures presentation is written for the screen by Adam Cozad and David Koepp. 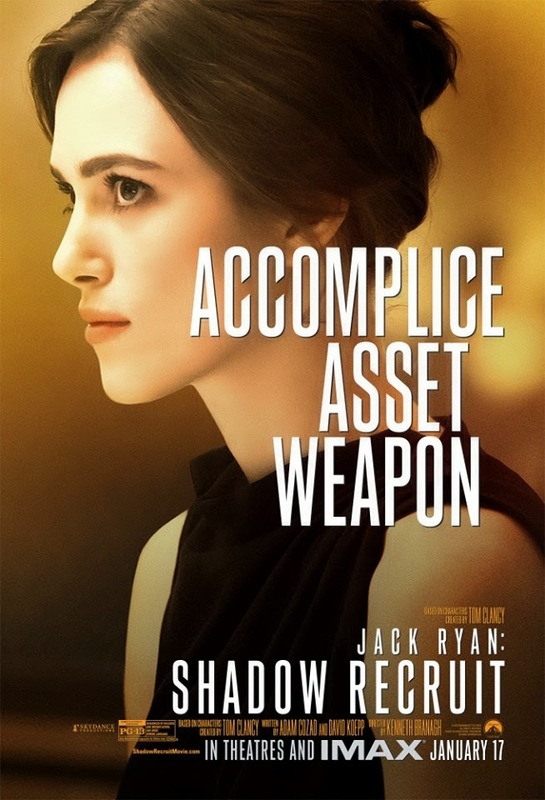 Satisfy your self with these new materials from Jack Ryan: Shadow Recruit. Let's start with the movie and character posters. And here is the new movie clip, followed by a few TV Spot. 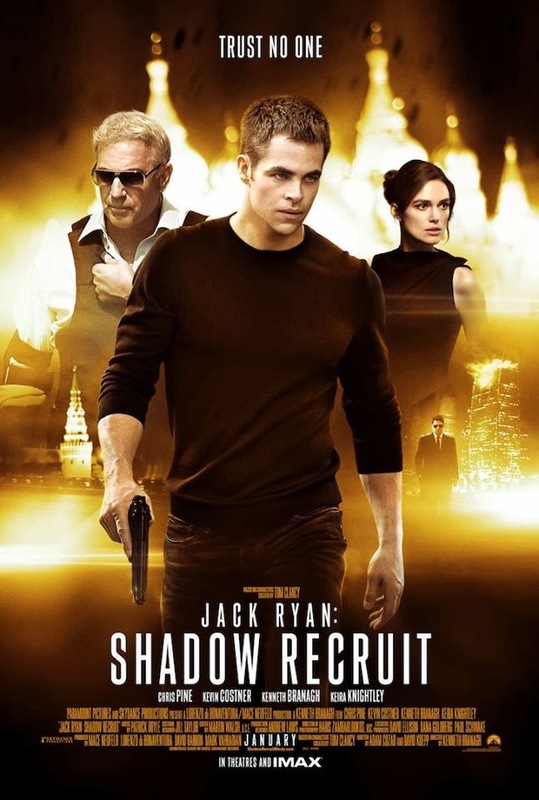 Jack Ryan: Shadow Recruit hits theaters on January 17, 2014.